Mark Agostino received a $14,000 funding grant from the Cancer Council of WA in a presentation on Friday. WITH a $14,000 funds injection, research fellow Mark Agostino hopes his team can work to create a less toxic anti-cancer drug. 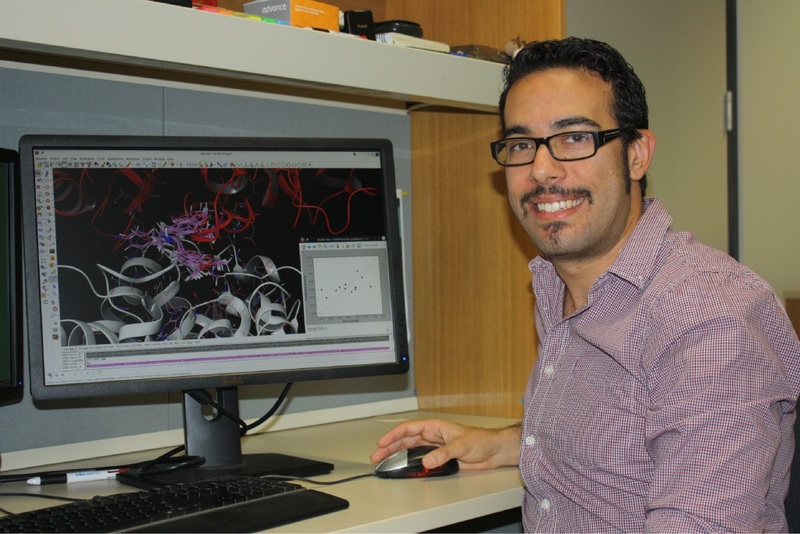 Northbridge resident and Curtin University researcher Dr Agostino was awarded a Cancer Council WA Early Career Investigator Grant late last year. Dr Agostino said he was lucky to make it through an “extremely competitive” process. “The main expense associated with my research, which is focused on structure-based drug design, is software,” he said. In collaboration with Professor Peter Scammells and Dr Ben Capuano in Victoria, Dr Agostino said they had been working to improve the molecular structure of noscapine, in order to identify a less toxic anti-cancer drug. “A drug based on noscapine is likely to be less toxic compared to other anti-cancer drugs, as noscapine has had a long history of safe clinical use,” he said. “Noscapine also seems to more selectively target cancer cells, whereas other drugs that act through a similar mechanism tend to target all cells, resulting in the side-effects typically associated with cancer chemotherapy, such as hair loss. The grant was named in honour of the late Suzanne Cavanagh, who worked in Cancer Council WA’s research program and died of a brain tumour in 2009.